A collection of some of the Amidons’ favorites. 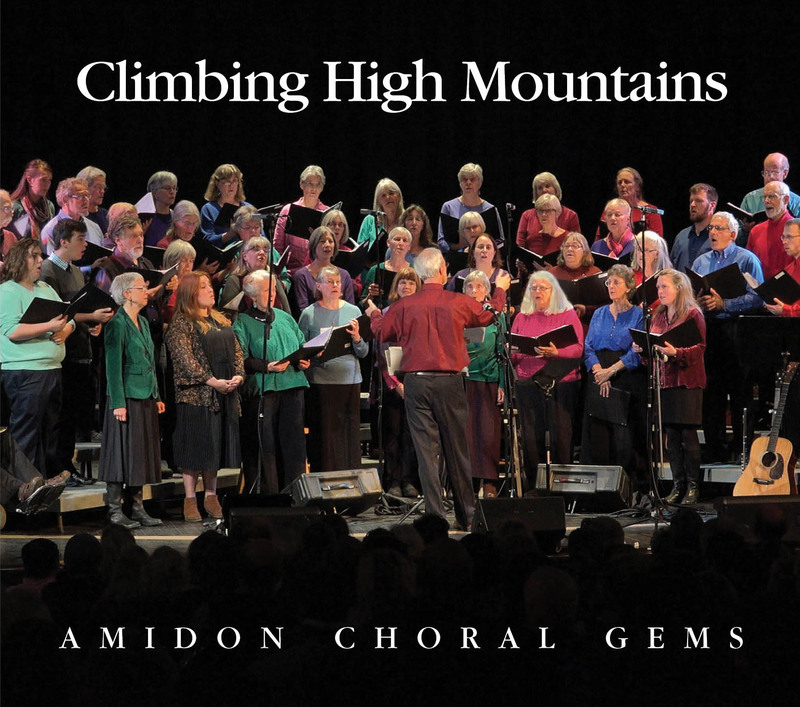 All songs arranged by Peter Amidon. Mary Alice and I started singing together from the moment we met in 1975, when we were swept up in the rich world of traditional music and dance in Cambridge Massachusetts. Our harmonic sensibilities were influenced by our deep involvement in shape note singing, our tours with Larry Gordon’s choruses (Word of Mouth Chorus/Northern Harmony), the a cappella singing of groups like the Waterson family (Yorkshire England) and the Nowell Sing We Clear guy quartet, and the harmonizing-by-ear we did singing with our friends and family. Mary Alice has the gift of creating the perfect melody for text and for creating songs that sound like traditional folk classics. Many of our arrangements and compositions were written originally for the Guilford (VT) Community Church, UCC Choir. 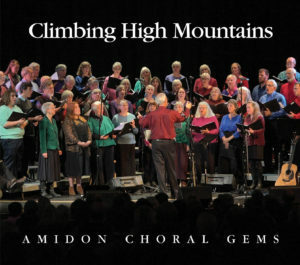 All the songs on this album were recorded by Al Stockwell, and sung either by the Friends of the Amidons singers, or by the Starry Mountain Singers (which includes our son and daughter-in-law, Stefan Amidon and Zara Bode). Blackbird by John Lennon and Paul McCartney – Show More I am the music director of Hallowell, an a cappella SATB hospice singing group. We are realizing that as we age we need to include songs for our generation, so I arranged this for our hospice singing. Over the Rainbow by Harold Arlen and E.Y. Harburg Show More– I met a man at a Vermont Hospice Conference who told me how much this song meant to him after seeing multiple rainbows as he walked out of the church after the funeral of his wife. I went home and did this arrangement for our Hallowell hospice choir.